Review Us TurnKey Internet considers customer feedback to be a leading indicator of service quality. We listen closely to our customers to integrate new features, improvements and other suggestions into our products and services. I have been with TurnKey Internet for nearly two years as a VPS user. My needs have increased in traffic, disk space and bandwidth. I approached TurnKey to see what would work best for me. I got great feedback from both sales team, and tech support. They told me everything I needed to do and once the server was built on their end. It only took about two hours to migrate 18 websites, databases and all. I was really impressed with the professionalism and dedication to the customer. It's great to have quick email response time, but also being able to call the office for finer points was really the deal maker. I just wanted to drop you a note and let you know that I've been very impressed with the staff at Turnkey Internet. Every part of my new customer experience has been smooth and painless. I'm looking forward to hosting with Turnkey and wish I'd found you guys sooner! I want to thank you and your team especially, Randi and Grif who have been very helpful with all of my hosting needs! Although, I have been with your company less than 24 hours, your team has proven itself to be top notch. Just wanted to let you know that I had an incident with a hacker attacking my site through an abandoned (and thus not updated) WordPress plugin. EVERYONE I have dealt with has been quick, responsive and very helpful. I almost feel guilty bugging these guys nearly every day, but I'd be completely lost without you all. If I could, I’d buy them all beer and pizza. I wanted to mention that I really appreciate you guys. I have been with Turnkey for a long time now - I started with TurnKey back in 2005 and have not left because your support is 1st class. Your response time is amazing. Thank you. TurnKey has been hosting my web sites for quite some time and always respond quickly to any questions or concerns I may have, they are in my opinion one of the top web hosting companies out there very professional and great to work with I recommend them to everyone and the prices are great. Thank you for being part of my team. I posted a thread about two and a half years ago, when I first started using Turnkey Internet's services, under their highest-tier VPS package. I was very impressed with the service then, and am still just as impressed today. They seem to have switched up their plans a bit, but I'm still on the same plan for the same price and haven't experienced any sort of billing interruptions. I haven't had a single minute of downtime or any issues that would require me to contact support for any reason. The speed of my VPS is phenomenal, it works just as I would expect. I wish I had more to say, but Turnkey has just been a perfect host, there isn't much more to it. Yesterday was a harrowing one for www.wholeheartandhome.com as there were myriad hack attempts on the site from various IPs in China adding up to more than 950 sessions over the course of the day. Late last night the site was so heavily bogged down that we couldn’t access it. I called Turnkey and spoke with Griffin who’s diligence and professionalism shut down the full scale attack in less than 30 minutes. Griffin was a pleasure to deal with and I cannot thank Turnkey enough for hiring such exemplary techs. Please extend our gratitude to your team for demonstrating once again why Turnkey Internet is the best hosting company in the business. I wanted to let you know that Randi in the Customer Service provided excellent customer service for me. The response time was excellent and my problem was solved. Randi re-activated my account today and helped with two or three other requests. I wanted to say that, in my time with Turnkey, I have had several occasions to work with Randi, mostly over the phone. She has always done a superb job. I just wanted to pass on my thanks to all the team who have helped me migrate my sites to Turnkey. It is a really busy time of year, but they have migrated my sites and I am up and running again after having been down for 10 days or more at my last hosting service. You guys rock and I look forward to working with you in 2015. Excellent response times on various inquiries I had during the sales process and very competitive pricing. This was the easiest time I've ever had dealing with sales as they had a very good technical background and did not try to nickle and dime me on extras. I'll give a shout out to Joe, he was fantastic to work with. The facilities were excellently maintained with the cold aisles contained within enclosures to prevent circulation with the hot air return. The datacenter room has glass windows to look through, however the door is keypad entry. The building used to be a post office, so it's a sturdy building and I didn't see any security issues while on site. The front door is locked has an intercom, so you cannot enter the premises without someone letting you in. The building is located about 5 minutes from the local police department and literally less than a minute from the fire department right down the road. Rock solid network. One of the first things I did when I had my server up was to test speeds to various locations around the US and then eventually to Europe/Asia. The speeds have been excellent and I have never had a problem with congestion when I've needed to max out the 100mbps line. I have only needed to open 1 ticket for a question on their network infrastructure and decided to wait until early Sunday Morning to file it, just to see their response time on the weekend. I got a response within 40 minutes on a low priority ticket to request some information, which is acceptable to me. They do not provide on sight storage for a single server (unless you buy a storage drawer to install with your server), however I understand the concerns that comes with storage of client parts on site. The service includes 30 minutes per month of remote hands, which cover about 2 separate hard drive replacements. If I need to visit on site, I only need to provide a couple hours of notice. If I decide to ship a drive in for replacement, I only need to include a shipping label and they'll pack it up and send it back to me so I can warranty it. First impressions mean a lot and so far this first month has been excellent. I have no complaints other than they made this too easy for me. I purchased the VPS6 package from TurnKey Internet almost a month ago, and I'm loving every minute of it. Very speedy, never any hiccups, and 100% uptime. I recently made an appointment to meet with the folks at the TurnKey Internet which is the hosting provider for an association I represent. Their location coincidently is easily within walking distancefrom my house. The facilities are clean, modern and brand new though the building had been my old Post Officesince 1970. TurnKey has completely retrofitted the property and implemented a very real environmentally-clean data center. They claim to be utilizing over 51% of their power consumption with renewable energy from solar panels and hydro-electric power from Niagara Falls. But the coolest thing is their "pod" concept. We are familiar with the hot / cold aisle concept: A/C forced from the floor between two rack rows that face each other(cold aisle), then being forced out of the back (hot aisle). TurnKey takes this concept even further and puts a Plexiglas ceiling over the aisle and doors on either end. The appropriate number of rack mounted A/C units are strategically placed throughout the "pod". The net result is a self-contained cube that can very efficiently manage A/C and other environmental factors. Each pod is also protected by a dedicated UPS unit. 15 Months back I see on the WebHostingTalk offers section, a BlackFriday promotion with a very good discount on a server, which I decided to try. I've been a client of companies like BurstNET, SingleHop, SoftLayer, ThePlanet, Wholesale Internet, VolumeDrive and others that I do not remember now. For the price paid, I never got a network and support as I'm receiving currently at TurnKey Internet. I figured after I have lurked around here for so long as I look to move to my next Turnkey Internet dedicated server that I should post a review of them thus far. Also as it seems as good a time as any due to some negative feedback they have received in a recent post. So I thought I would give you an unbiased AND HOLISTIC review of my time with them. I have been reading these forums for a while now looking for a decent hosting provider. And while I was willing to go for a dedicated solution, my first choice has always been a decent VPS server because of its portability: God forbid the hardware goes down, my VPS can always be easily moved to a different machine. After all, I hate downtime as much as the next guy. Hi! This is my first month review of TurnKey Internet and I am really satisfied with their services. And I've been with 2 other VPS providers and as far, their services are Top notch in my opinion. I host a game server and a budget of $45 I was looking for a Decent VPS that could power my game server. Service and Server both lacking very much I'm using TurnKey Internet's Reseller hosting since few months and not to my surprise their servers are slower like ant. they are selling reseller account which is west of money and time. Why Time? because they keep you waiting for hours to resolve a simple issue. Their support staff is less known and educated about what they are offering and ope rating. I'm making my mind to change this hosting company to some other better served one. I always tried to communicate with them on various issue, but they are adamant and arrogant. They are misleading customers by giving false promises on their websites and whatever discounts they are giving out on various plans on regular basis is just nothing. because at the end if you have two websites and one website receiving 20 to 30 users daily visits, site will take time like months to load and constant refresh button access is needed to get it work. this is happening due to unmaintained and irregulated servers. Server load is always above 8 to 9 and some times I even observed above 30, where they have only few cores cpu and 12 to 16 gig of ram, the similar configuration I'm using for my personal computer. Yet they report your that server is running smoothly and there are no issues. This is funny because, they believe customers are fools and they can say any thing and customers will buy it! Total Nonsense and waist of money company dont even worth a penny! Beware before you fall prey to their offerings and lower prices! I came across a reseller hosting offer from Turnkey Internet here at WHT. If the hosting service quality was good, this offer was a very good deal. About 3 weeks ago, I purchased a Dedicated Server from Turnkey Internet and just wanted to post a quick review. To be completely honest I am really happy with the service. Best, best, best!!! Literally, after trying about a half dozen hosts I'm amazed that I've finally found people who are commited to meeting and consistently exceeding their service obligations. My experience so far has been that of fast support, and seriously fast servers. Of my four filed support tickets, average turn time has been under 4 hours. As far as the servers are concerned, speedtest.net shows upload speeds north of 24MBps on my VPS plan. My download rates server-to-home have never dipped below 1MB/sec which is my ISP's max. I recently signup a dedicated server and a cPanel VPS with Turnkey Just want to say I'm very happy with the servers and their service, responses from their support staffs are quick and problems are resolved in a professional manner. Great price, great server. I don't have to worry about it. What else can I ask for? I think you have a customer for life now. I have tried so many options and different hosts over the last couple of years and none of them have compared to Turnkey, and that is in a few different areas, support, uptime and security. Knowing that if something does go wrong, there are competent people at Turnkey who can solve the problem. The office mail server had crashed for the 4th time in a month. The amount of spam clogging it up made it useless and we spent more time asking when the mail server would be back up than sending out proposals to clients. We called up TurnKey and had our mail system fully integrated and outsourced within 24 hours. Since then, we haven't had one minute, let alone one day of down time. The people at TurnKey really made the entire process very easy and even fun. They were very professional, walked me through every step, and explained everything extremely well. I would recommend TurnKey to anyone. 05-26-2009 | by Sam M.
Our web server was broken into last week and we didn't even know about it until our members contacted us to ask why the site had changed. We hired TurnKey to assist us and within 6 hours they had someone online and removing the backdoors that the hackers put into our system. TurnKey installed a firewall, upgraded the software that was used to break into our system and even provided us a written report for the authorities once they helped track down where the hackers came from. We are now in the process of moving our server to TurnKey and hiring them to provide security monitoring for us. Job well done. What I most like about TurnKey is the sense of personal attention they give & the speedy response to emailed requests at any time of day or night. We used to host with another ISP but our customers kept having trouble emailing us. After enough finger pointing, we moved to TurnKey and haven't looked back since. TurnKey has a stronger commitment to their customers when it comes to service, after 2 months we haven't had one report of a missing email from a customer. 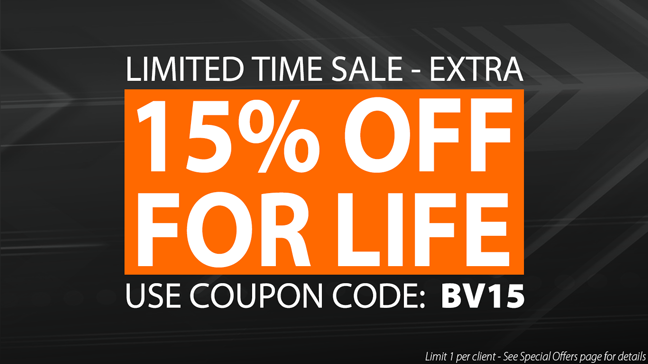 Excellent value on dedicated web servers, support beyond the call of duty. TurnKey took the idea we had and made it operational. They were conscientious and diligent, understood what we wanted, and took the time to explain some pitfalls we had not thought of while offering multiple viable solutions to achieve our goals. We recommend them highly. These guys say round the clock service. I tried contacting them at 4 am with a very technical dedicated web server question and I actually got a human response, within 5 minutes from a senior level technician who actually could answer and resolve the issue I was having! My company put me in charge of deploying our new on-line ordering system. After several weeks trying to develop it in house, we contacted TurnKey for help. Within 3 days they had us taking credit card orders on-line and passing orders in real time to our shipping center. You guys know what deadlines mean, thank you.